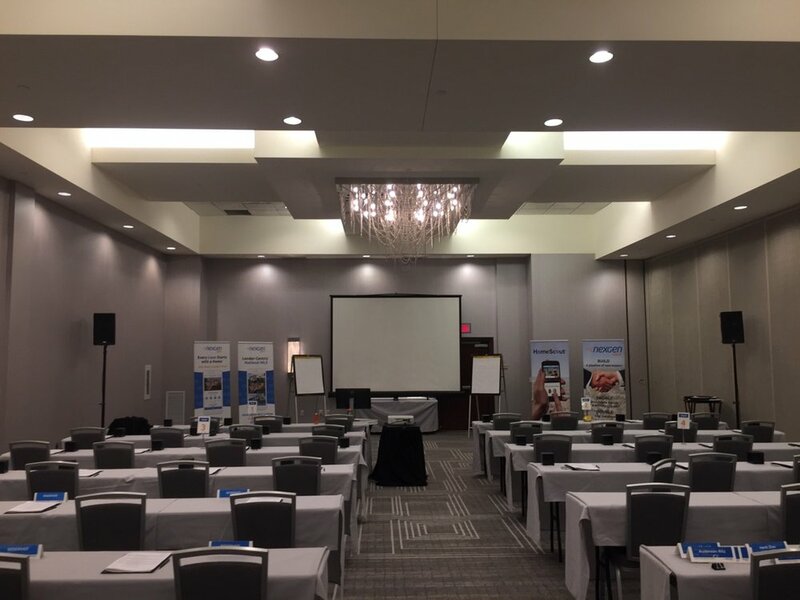 AV for You provided audio and video rental equipment for a Home Buyers Marketing event at the Hilton in Bloomington, MN. For audio rental equipment we provided two QSC K10 Powered Speakers, three Shure Handheld Wireless Microphone kits and two Shure Lavalier Wireless Microphone Kits. We used our RapcoHorizon LTIBlox Laptop Audio Adapter to plug in a laptop as well as a Mackie 1402-VLZ4 14 Channel Mixer. For video rental equipment we projected our NEC 4K HD projector onto a 10’ Cradle Screen. We also set up three breakout rooms and rented out flipcharts, Da-Lite 6’ cradle screens, Da-Lite Easels and a polycom. We also had on onsite AV tech for the day of the event to ensure everything at the meetings went smoothly.